I had written a post for Pi Day this year about a non-traditional type of pie, a pizza made with watermelon as the base and covered with berries and other fruits. It looked good enough in a picture a friend posted on Facebook, that I decided to give it a try when we were having guests for dinner recently. I started with personal-sized watermelons, because they happened to be on sale at my local supermarket. A round cross-slice of one also fit nicely on the dessert plates we have, so it worked out nicely. It I had bought a regular watermelon, I would have needed dinner plates and that large a piece of watermelon might have seemed over-whelming to some after a big dinner. 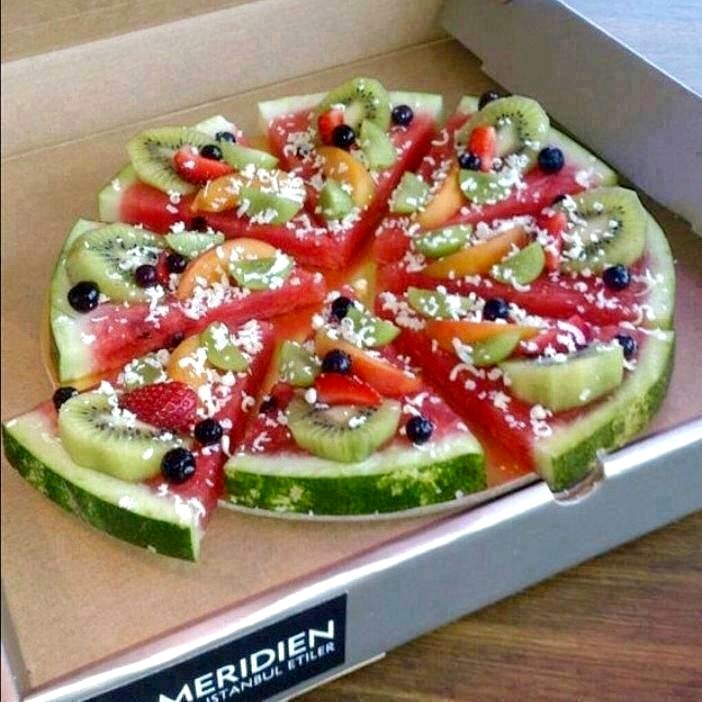 The photo a friend posted of a watermelon pizza. My version of a watermelon pizza. I’ve been trying to cut my sodium intake most of my adult life because of chronic high blood pressure, and a near-fatal clogged artery in 2012 that almost ended my life. But it wasn’t until my 2012 angioplasty that I really discovered how much salt is hidden in everything we eat in America, everything that’s processed or made at a restaurant, that is. My hunt for low-salt,low-fat, low-sugar foods has been a tough one in the two and a half years since my angioplasty, but little by little I am finding items and blogging about them here to help you kick the evil triangle of salt, fat and sugar as I am trying to do. Just check my ingredient and recipe pages for help. Lower-fat, lower-salt packaged products are out there, you just need to hunt for them. Meatballs are an integral part of Italian-American cooking (not so much in Italy, but that’s another story) but red meat is largely off my diet since my angioplasty in 2012. So I’ve switched from beef to turkey meatballs. It occurred to me I’ve referred to them in past posts here but never shown how to make them. So here’s a quick guide. 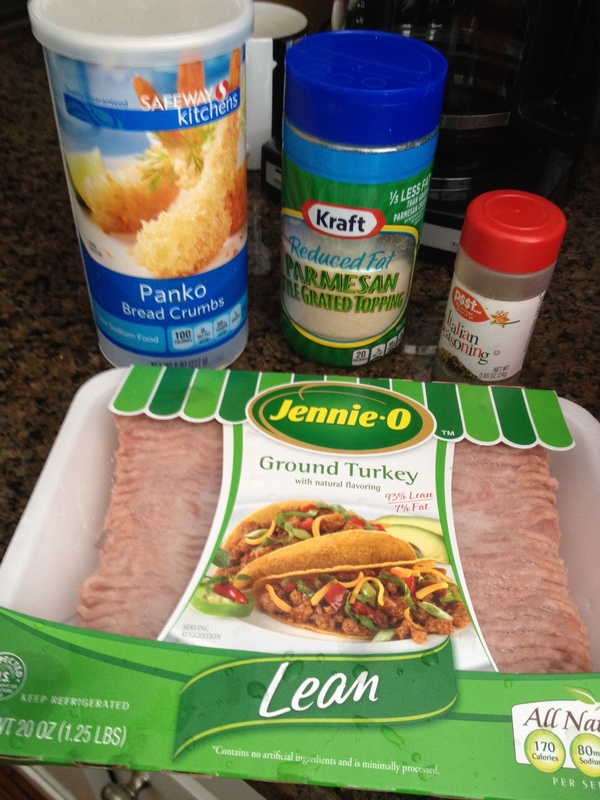 Start with a pound of lean ground turkey, which has about one gram of fat per ounce. Add four to six ounces of Panko breadcrumbs, some reduced fat Parmesan cheese and Italian seasoning you can buy pre-mixed (be sure to get a mix without salt listed as an ingredient). Add cheese and seasoning to your taste preference. Turkey meatballs are a low-fat, low-salt alternative to beef meatballs. Combine the ingredients in a bowl, adding water to help bind it all. Mix it together, then form it into meatballs using your hands, rolling it clockwise across your palms (or you can buy a device to make meatballs). 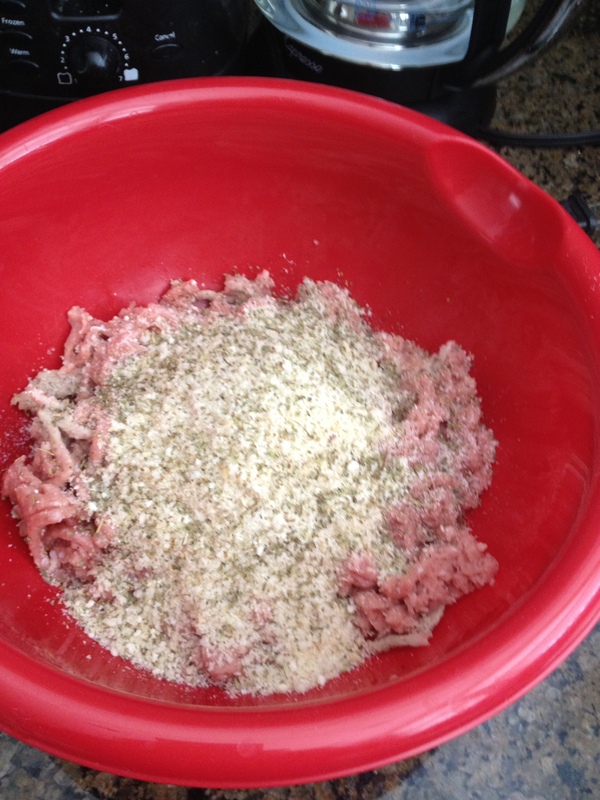 Turkey meatball ingredients include lean ground turkey, panko breadcrumbs, low-fat cheese and Italian seasoning. 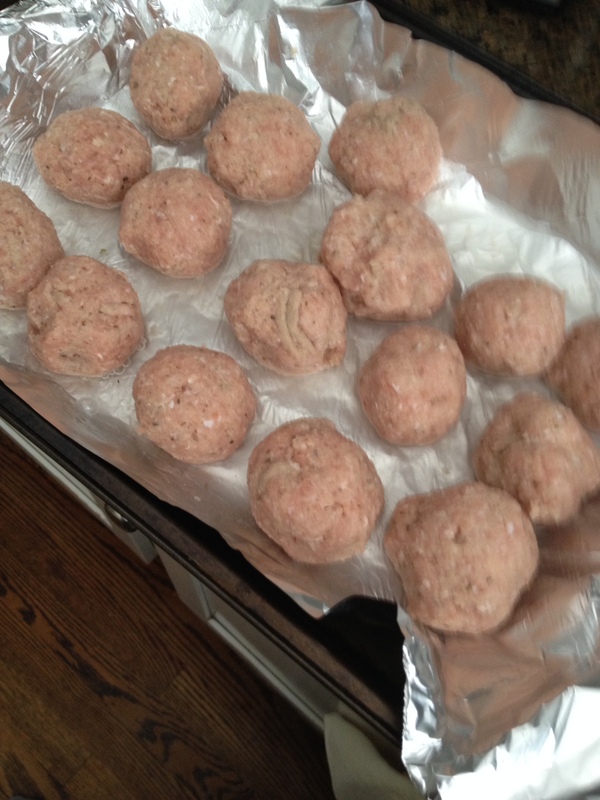 I normally get 17 turkey meatballs from a pound, so each is a bit less than one ounce, or one gram of fat. The breadcrumbs are low-salt, the cheese has salt, so be prudent in how much you add. This is still a low-salt offering, and definitely lower-fat than beef or more traditional beef and pork meatballs. Turkey meatball ingredients in a mixing bowl, just add water and mix it all up. Cook them for about an hour at 350, turning after 30 minutes. Coat the bottom of the pan with water to avoid sticking, you may need to add more water at the 30-minute mark too. Math geeks know that March 14 is pi day, because it starts with the first three digits of the mathematical symbol Pi, which is widely used in geometry and also an infinite number (it’s been calculated out to one million places, last I read). This year’s pi day was super special, in math circles at least, because it actually could produce the first 10 digits of pi, 3-14-15-9-26-53 at 9:26:53 a.m. (some people did it at night too, but that’s not really fair because night hours also can be expressed in military time, so that would really have been 21:26:53, but I digress. Many places have pi day festivals in which employees bring in pies to share. we did that at my last job, in fact, where I worked with a lot of researchers who get excited about pi day. 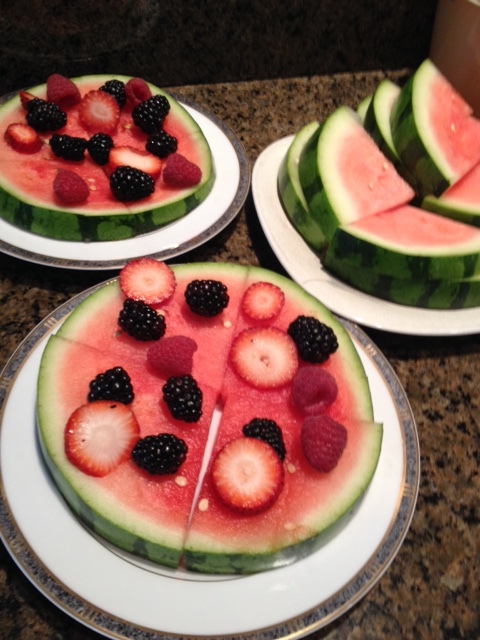 Or just serve it for summer cookouts, watermelon slices covered with other fruits. I can’t eat pie since my angioplasty, so I was very excited to come across this fruit pie recipe that a Realtor friend from the Washington, D.C. area posted on Facebook. It is literally a fruit pie, watermelon is the base, covered with a variety of other fruits. It looks like something fun to serve during the summer cookout season. I’d switch in something for the avocado, I dislike those and they give me gas. I know current thinking is they have so-called good fat, but I’m sure that theory will change as most food theories do, so I’m avoiding it for the fat as well. Oranges might be nice, or other berries, pick what you like. It looks like a fun, healthy dessert and a great conversation piece too. Make that watermelon slice fairly substantial to hold up under the weight of everything else and maybe even serve the slices in individual small plates with forks to avoid anyone trying to pick it up to eat and making a mess in the process. By the way, that’s white chocolate shave don it, I’d go for regular even though it doesn’t look like cheese which was the intent here. Pizza is difficult to eat on a low-salt, low-fat diet, given all the salt and fat in most cheese and pizza crusts. I’ve found a whole-wheat pre-made crust that I now use to cut salt while relying on fat-free cheese. 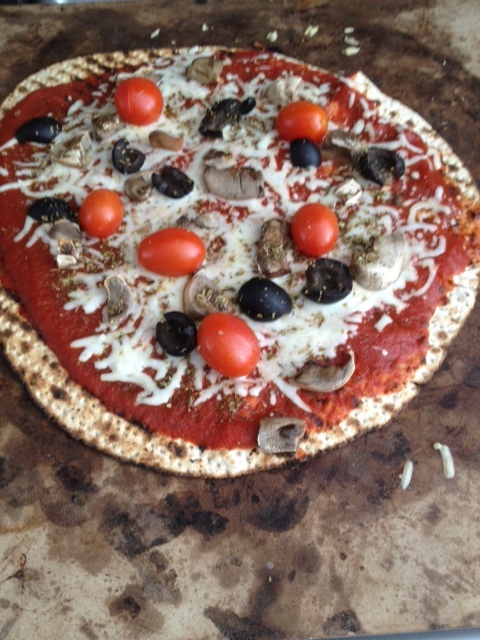 My matzo pizza…the matzo has no salt, no or sugar in it, a great base for salt-free tomato sauce and fat-free cheese. But there’s still a lot of salt in that recipe, so I was searching for an alternative and think I’ve found it. A friend and fellow food blogger, Amanda Topper, aka The Ghost Guest, blogged last Passover about making a lasagna using matzo instead of Italian noodles. As it happened, Costco was selling big boxes of matzo, so I was able to check the nutrition label. 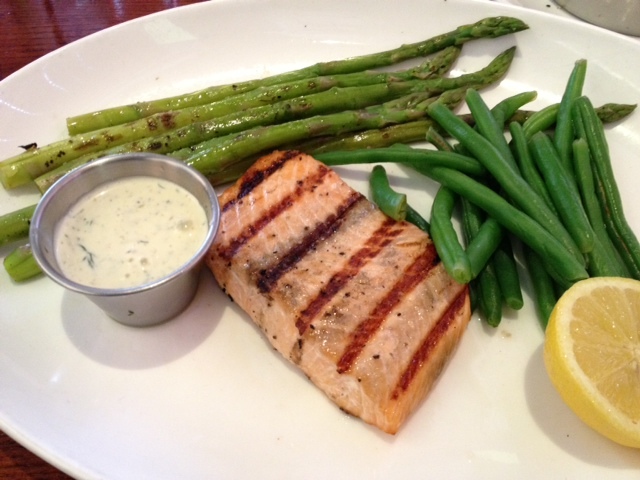 I’ve been working hard to get fat, salt and sugar out of my diet since having an angioplasty in 2012. 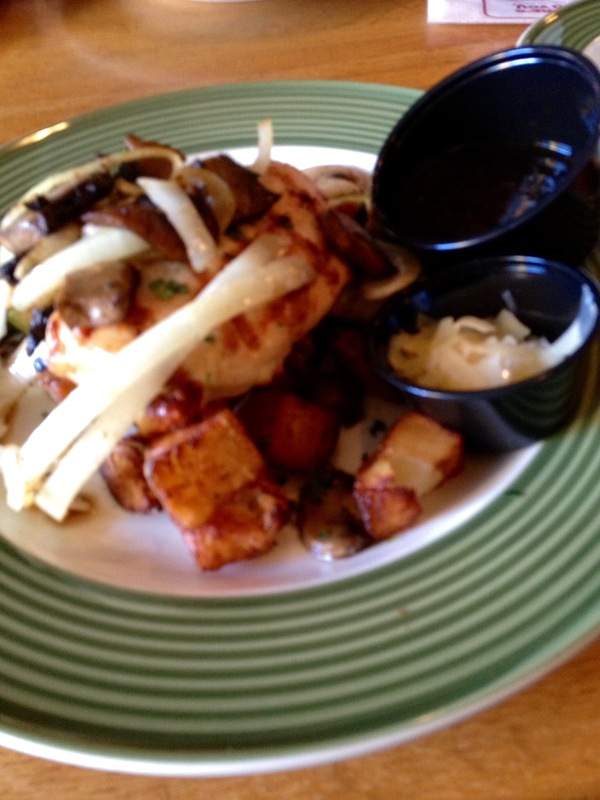 I’ve succeeded, but had to do a lot of my own searching for low-fat, low-salt alternatives to foods I loved. 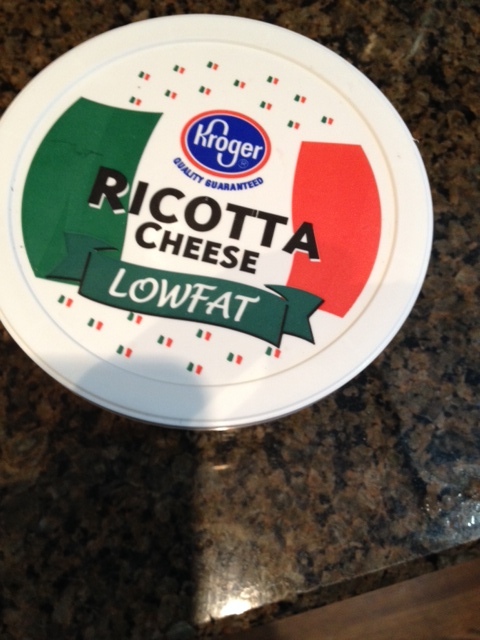 Substituting low-fat cheese for regular is one way to get the fat out of your diet. But watch the salt content, almost all cheese is high in sodium. Recently though, I came across a handy guide on foods that can help you get the fat out of your diet. It’s on the National Heart, Lung and Blood Institute site, where I also found a fun dessert recipe. It details a lot of fairly easy switches to make, like sorbets and fat-free frozen yogurt for ice cream (keep watching the sugar content though), pasta with vegetables for pasta with cheese sauce, and extra-lean ground beef and ground turkey for regular 85% lean ground beef. Check it out and also check my ingredients page for some of the items I’ve found that get the fat out. Desserts are difficult to come up with if you’re on a low-salt, low-sugar, low-fat diet since one of those evil three, and more often all three, are in the most sumptuous cakes, pastries and other desserts. I’ve taken to serving fruit or low-fat frozen yogurt for dessert. Recently I came across a dessert offering than combines those in a great presentation. 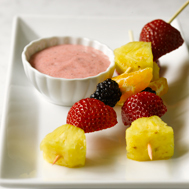 Fruit Skewers with yogurt dip could be a refreshing dessert. Check this recipe for fruit sewers with yogurt dip that I found on the National Heart, Lung and Blood Institute site, of all places. It uses strawberries, pineapples, orange slices and blackberries on skewers and calls for creating a yogurt dip from fat-free yogurt, crushed strawberries, vanilla and honey. I’d question the need for honey, especially for those watching sugar content, I think the yogurt would stand on its own taste-wise, but I’m planning to try this soon and will post an update then. The recipe calls it an appetizer, I’d add a few more skewers per guest (bringing the per person total to perhaps four or five) to make it a full-fledged dessert. If you try it first, let me know how it turned out.